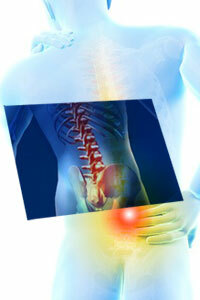 Discography is diagnostic procedure which helps the physician identify the spinal disc from which pain is coming from. It also helps to identify abnormalities in the disc. Pain in the low back coming from a disc can present in many different ways, most common way is pain with sitting and bending forward. If your usual pain is reproduced with discography, you may benefit from subsequent intervention (such as the intra- discalelectrothermal therapy -IDET,or surgery). If the discogram does not reproduce pain, consideration should be made for other diagnostic interventions.